Making the definitive choice between companies and solutions is the crucial step towards a successful network. Especially if the equipment that you are looking for has to be very durable, not impacted by drastic changes in temperature and reliable, all while still performing at its maximum functionality. SAF’s client, internet service provider, Experior Networks resolved their challenge of connecting a large middle mile network in a harsh environment by choosing SAF’s products. Experior’s challenge was to connect a large middle mile network in a diverse environment with reliable, high-performance wireless links over long distances. 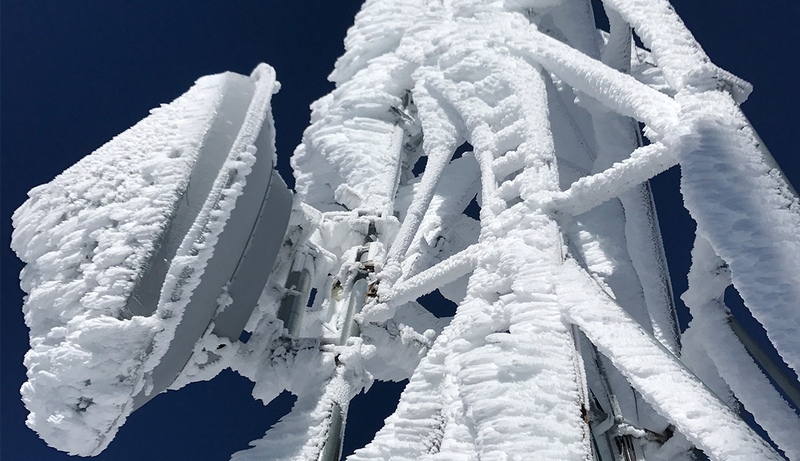 Their requirements were – high capacity full-duplex links with minimal latency that would withstand hot weather up to 125° F (51°) and snow covered mountains that reach an elevation of 8500 ft (2590 m). 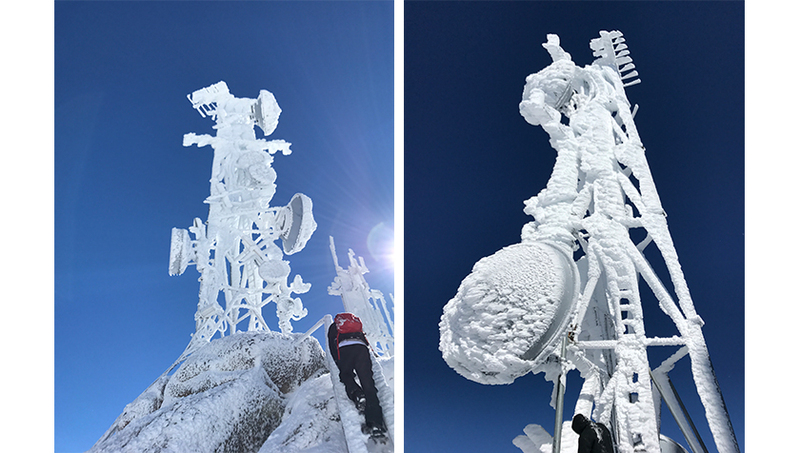 Last winter the Hayden Peak in Arizona experienced exceptionally harsh weather conditions coating the towers with a thick layer of snow and ice. Nevertheless, SAF radios continued to perform as usual. High altitude links in Hayden Peak, Mohave County, AZ. SAF’s PhoeniX and Lumina radios endure the harsh weathers of Arizona ranging from freezing temperatures to high heated deserts. Since Experior required a high capacity full-duplex links with minimal latency, SAF CFIP Lumina and CFIP PhoeniX radios were chosen for the task. Experior Networks has a large network utilizing SAF radios for their network. The company has around two dozen SAF links deployed ranging from 1-mile links to links over 43 miles. Antennas range from 1’ (0.3 m) to 8’ (2.4 m) with Space Diversity. QoS via DSCP is enabled across the entire network. The network is MPLS native and circuits it delivers over the radios include PTP MPLS circuits, H-VPLS, IPSec, VLANs, voice, and Internet. All of these radios met the company’s expectations – both from the hardware and software point of view. Based in Arizona, USA, internet service provider Experior Networks provides voice, data, managed firewalls, and encryption services to rural underserved areas. Utilizing their solutions, businesses can prioritize network traffic to reduce bottlenecks and ensure the performance of all critical applications, including voice, data, and video. Some of their customers include hospitals, banks, energy, gaming and government agencies, where reliable backbone infrastructure is crucial. Experior Neworks have been choosing our products and solutions for many years. Here is how they built a secure and reliable wireless backhaul with SAF in the past.